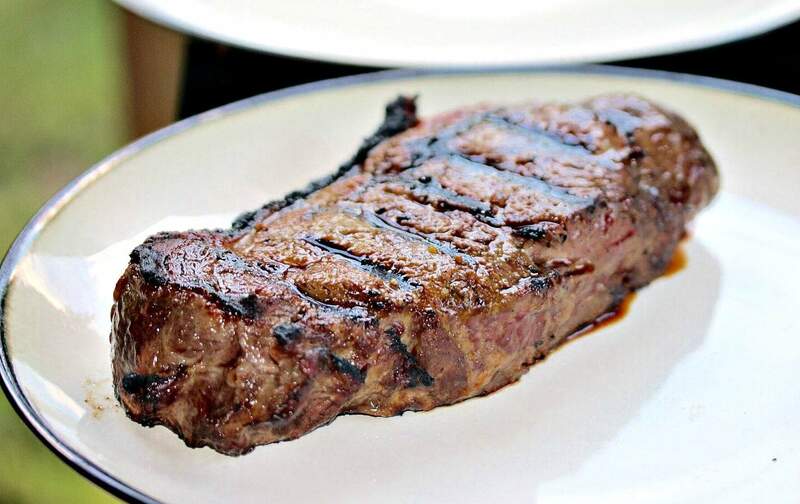 I have never tried a rub on steak, what a great idea. I’ve pinned your recipe. 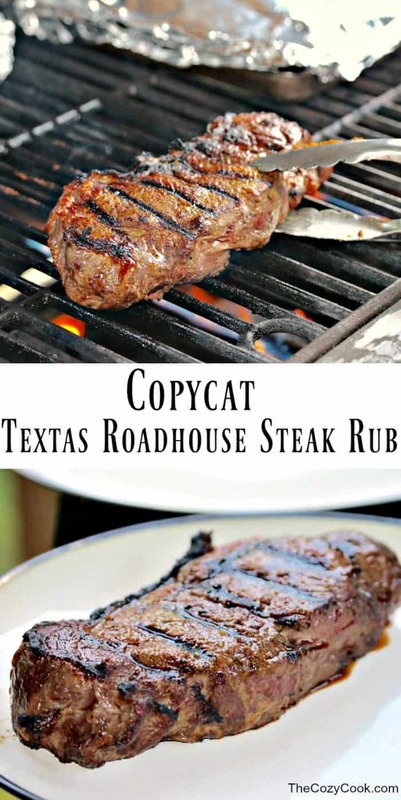 I am ashamed to admit I have never had a Texas Roadhouse Steak but it sounds delicious. This sounds like a good recipe, would I be able to leave this on the meat overnight? Thank you so much Stephanie, that was very helpful. ? Used this rub recipe last night; just didn’t have the turmeric. But it turned out great on some boneless rib-eye steaks from Costco! 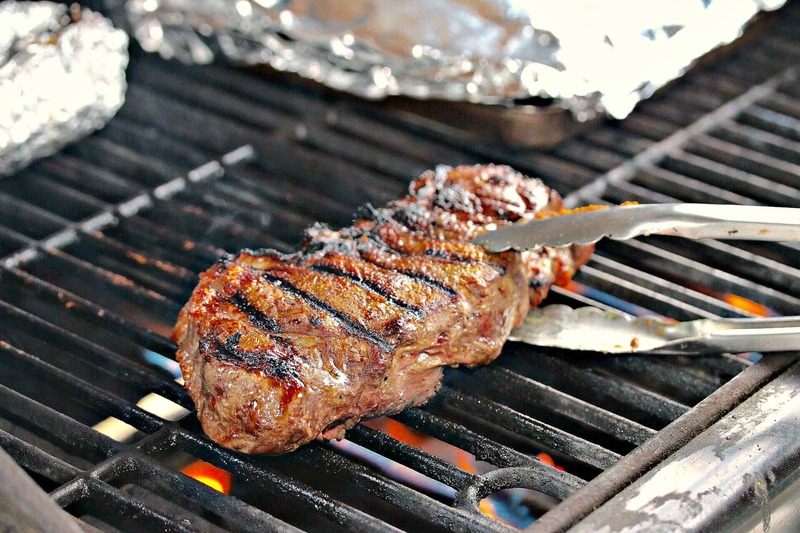 I will definitely add a batch of this steak rub to our camping supplies. I’m so glad you enjoyed it Tahoe! I’ve been out of turmeric as well and it definitely is great without! 🙂 Thanks for sharing, and enjoy this while you’re camping!!! Have a great week! You have awesome recipes. I have used several and we have loved them all. Thanks for making them so we can print . Have a great day !!! Awesome rub recipe! Made it last night, my husband was delightfully surprised when he took a bite! Thanks for sharing, will be using again!! I’m SO happy that your husband enjoyed it! My husband is a HUGE fan of this stuff, he even puts it on his burgers! 😉 Glad to hear you’ll be using it again- thank you for letting me know, it makes my day! SOOO glad that you like the rub, we do too! We put it on burgers & chicken even! …. the rolls can be tricky when you’re creating their shape… I got lucky that mine came out so nice, I probably couldn’t do it that well again. haha! Will this rub also work on pork chops – so that they turn out just like the ones from Texas Roadhouse? I love their plain pork chops but can’t find a recipe to replicate them at home. What kind of chili powder?